The metal forming industry once enjoyed the luxuries of long production runs, high inventory levels and extended die change times. But in order to survive in today’s competitive worldwide market, manufacturers are reducing inventory cost by running smaller batch sizes and making shorter production runs. One way to maximize press uptime in an environment like this is to implement faster, more effective die changes. 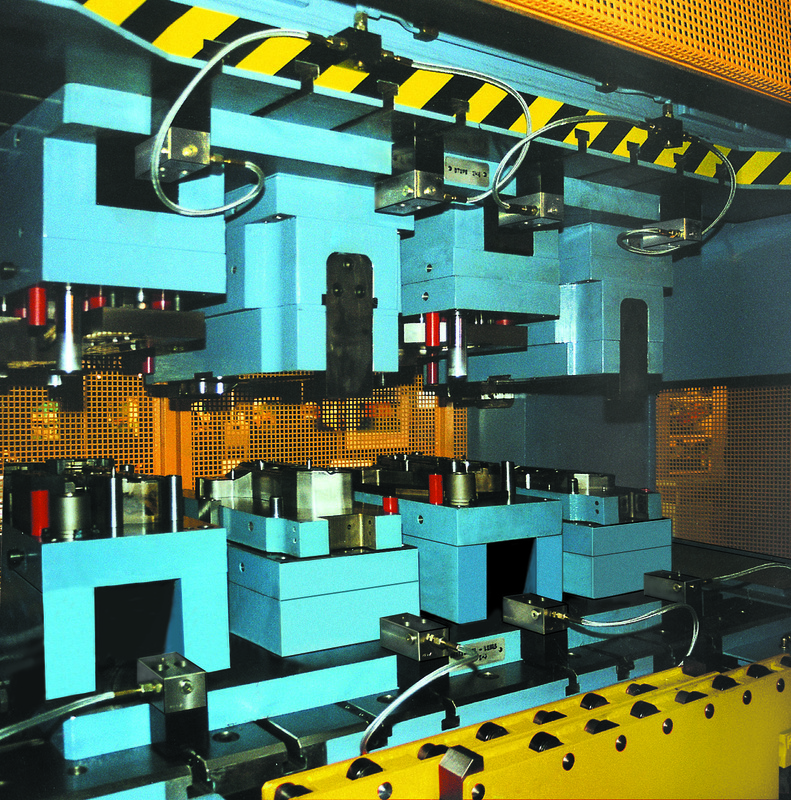 A quick die change means that the material for the next part is in place, the automation is set up and the die is located and clamped in position, in the same place, the same way every time, in the shortest time possible. • Reduced inventories, due to smaller quantity runs and more frequent changeovers. • Increased machine capacity, by improving production and its revenues. • Improved lead times, due to quick changeovers. • More competitiveness, through just-in-time deliveries and better service to customers. • Improved quality of parts, due to repeatable positioning and clamping forces. • Reduced labor costs, since die changes can often be done by the operator. • Improved safety level. The dies are under control and roll smoothly in and out of the presses during the die change. Also, with automated systems, if the die is not clamped properly, the press simply will not operate. Create a quick die change team. Select and analyze a press and its dies. Analyze the present die change process. Research and implement the new processes and standards. Follow up and repeat the process. • What are the present and long range production requirements? • What is the goal for die change time? • How is the press room layed out? • Which presses are involved? • How many dies are used in each press? • What are the minimum and maximum sizes and weights of the dies? • What is the present clamping method, along with the quantity and size of the bolts used? • What about the clamping points: locations, shape, clamping heights, depth of the ledge? Hilma has a wide assortment of options. The quick die change equipment you might choose will depend on the answers to these questions. You can contact a Hilma engineer by calling 800-827-2526, or visit the online catalog. 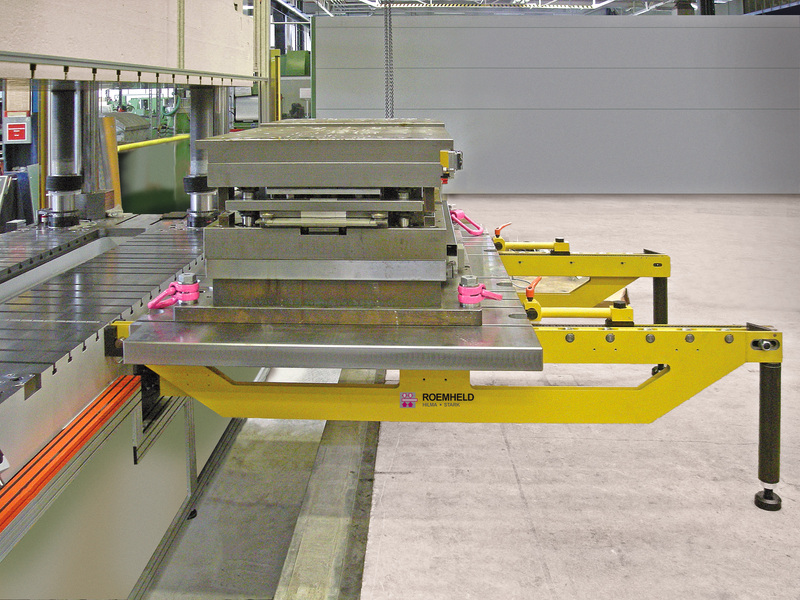 Innovative Clamping Solutions from Carr Lane Roemheld. Call 1-800-827-2526 for technical assistance. Carr Lane Roemheld Mfg. Co.